Seamless pattern with chains pendant and tassels. 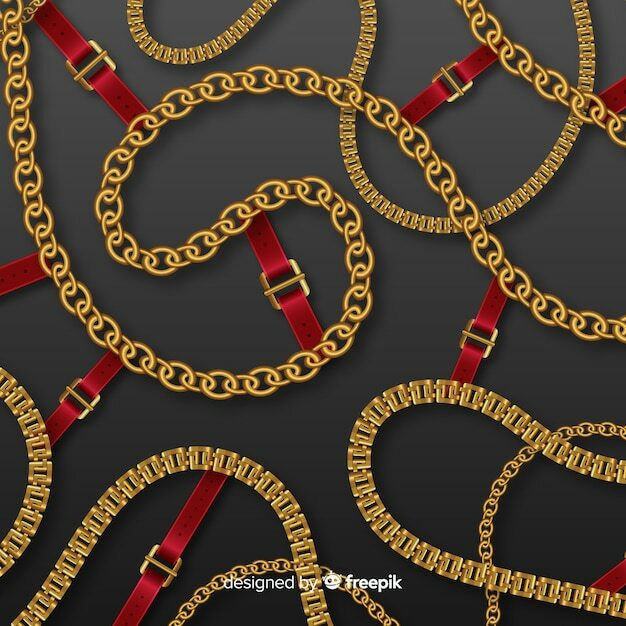 Seamless pattern with chains, belts, pendant and tassels. Seamless pattern background with pears and chains golden metallic necklace. on white. vector illustration.